Painting desks from Florence’s work space. 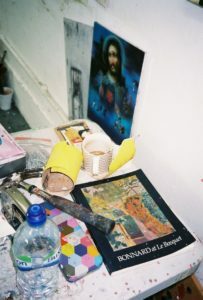 “My studio is usually a mess” artist Florence Hutchings says as we come into the space located at the Slade School of Fine Art, London, “For me an exciting studio space is vital for my work, it’s what drives me to make more work.” While the symmetrically curved room contains a great volume of interesting items (be that a Pierre Bonnard book, remains of unused paint that have solidified into sculptures, or a stack of rough drawings on Fabriano journals) it is well-supplied with furniture. 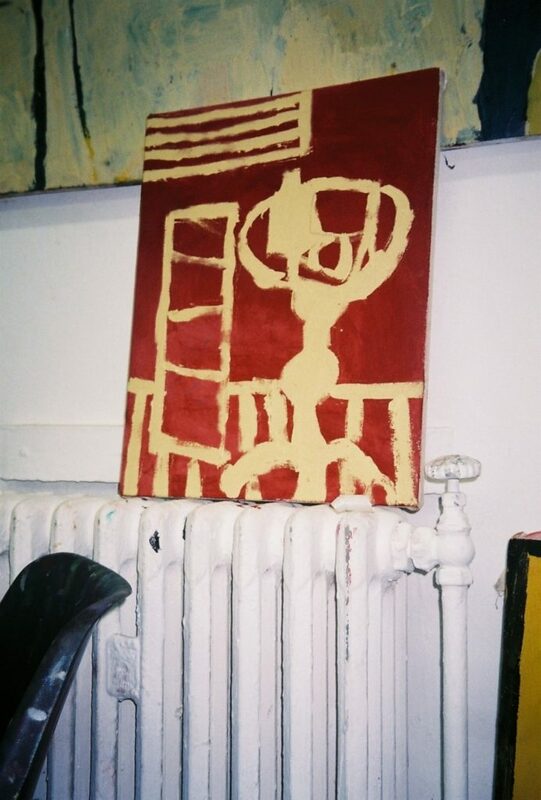 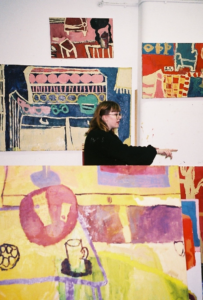 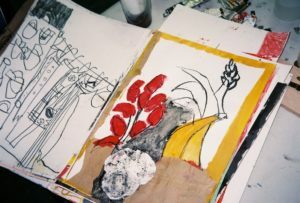 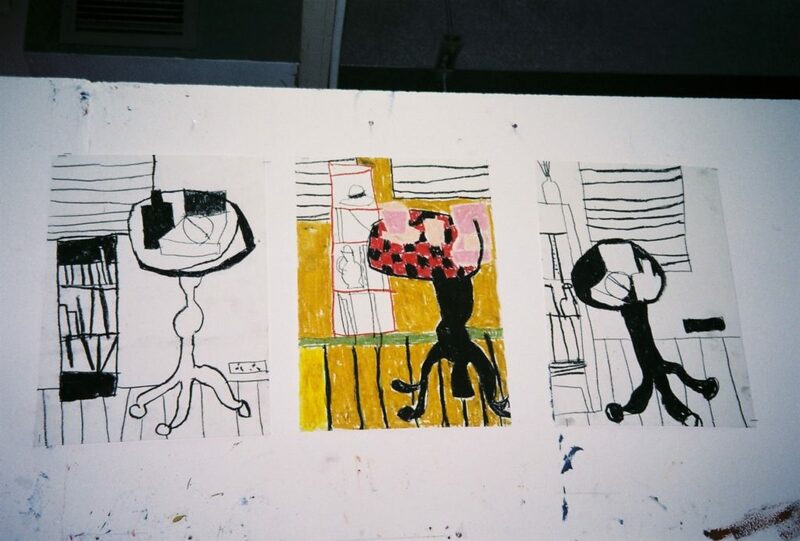 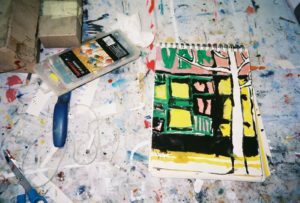 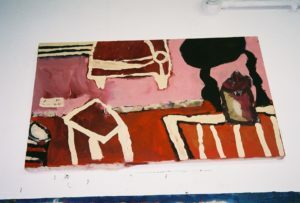 Here, the third year painting student depicts chairs, tables, architectural elements, or interior configurations in the form of sketches, collages or paintings, many which are assembled and drawn from life directly at her studio. Most of the works are fixed to walls, allowing her repeated patterns to feed onto one another. 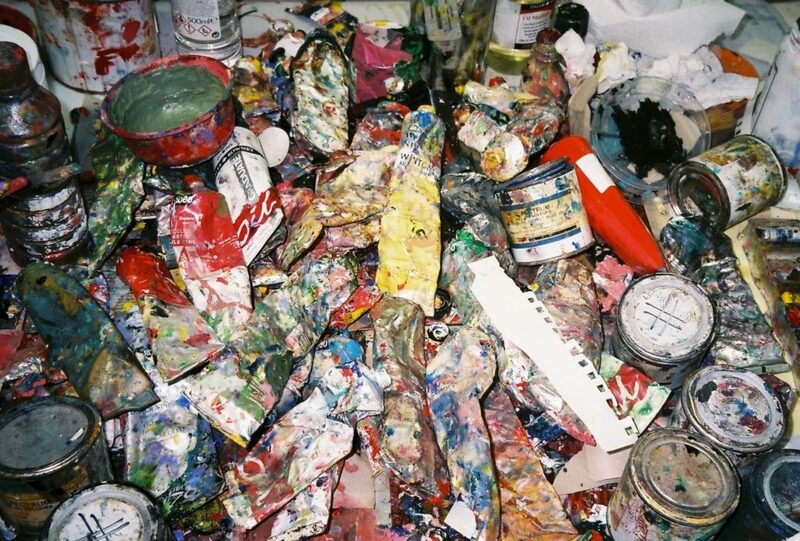 Arranged in different sections, an initial table presents a display of tube paints, while the artist uses a drawing table to work cleanly on. 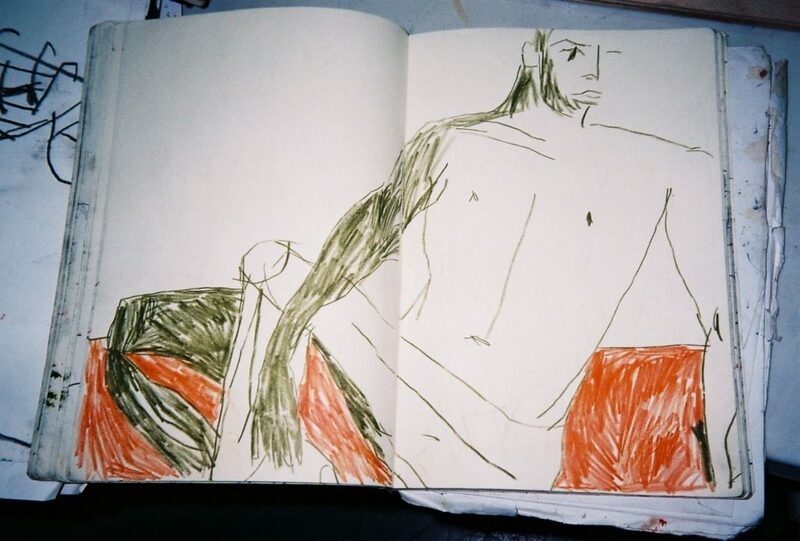 Hutchings is drawn to drawing from life: from the desk in her studio she paints desks. 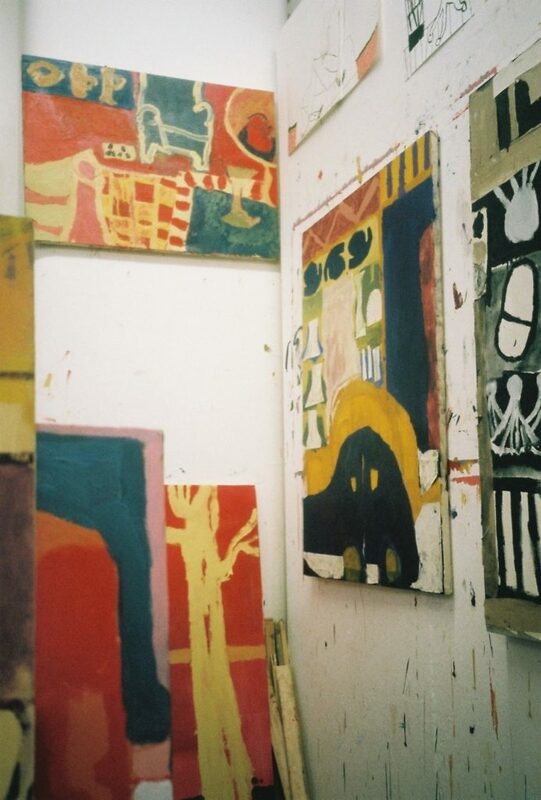 And for the last 3 years, it’s all came to life here.